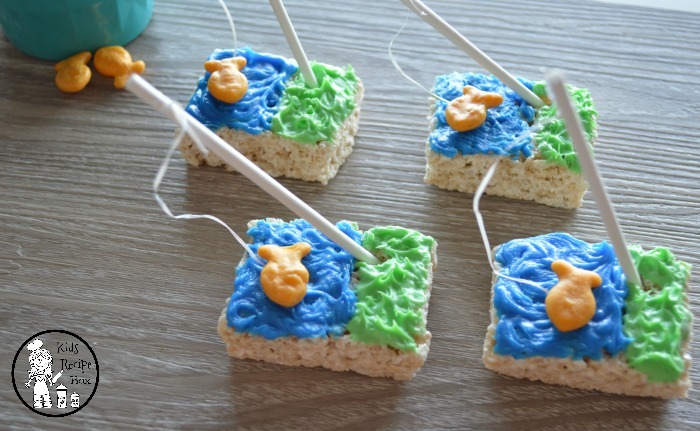 Summer is finally here, and we have the perfect Gone Fishing Party treats idea for you. 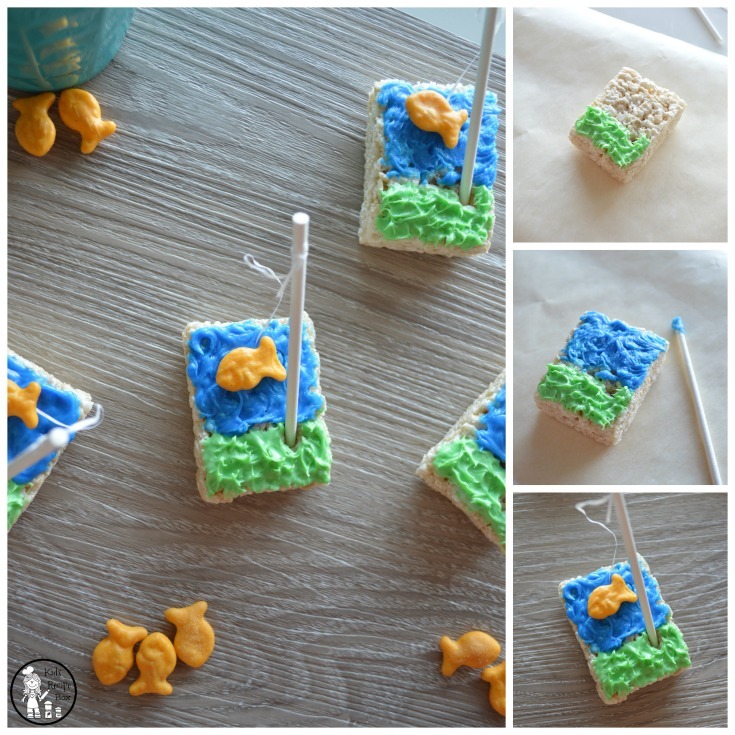 These adorable rice crispy treats capture all of the fun of fishing with bright colors and crunchy gold fish crackers. They’re a lot of fun to make too. 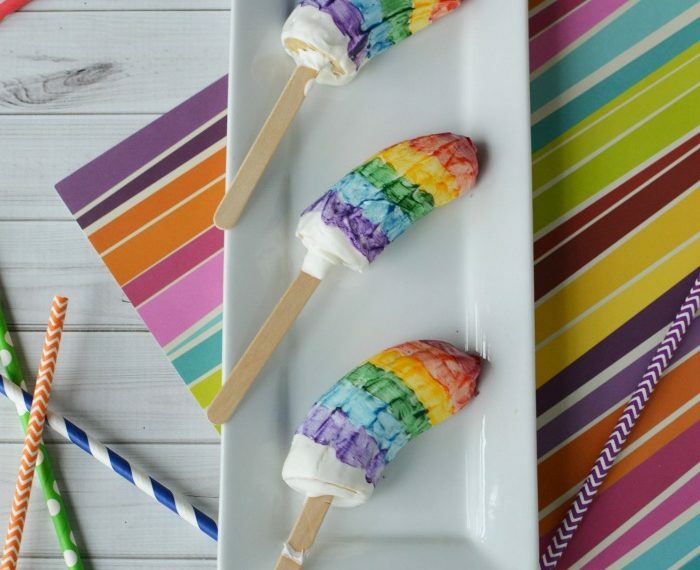 This is a fun, super easy party treat. You can make it ahead, or better yet, have the kids make it themselves! 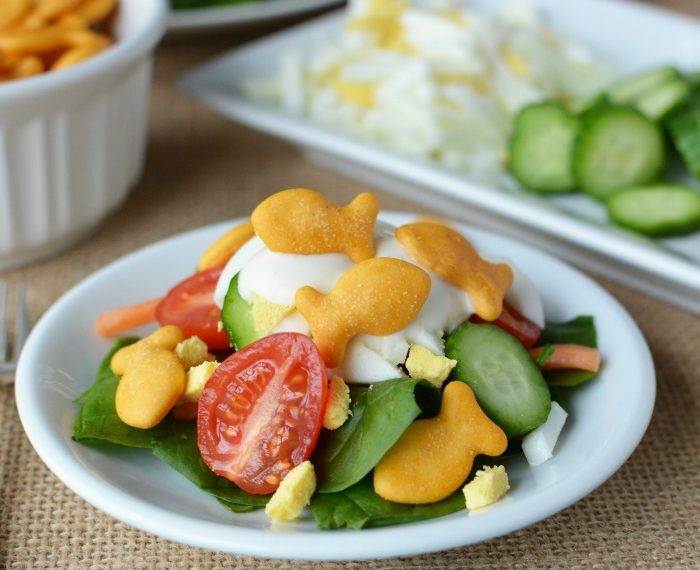 Wouldn’t that be such a fun Gone Fishing Party activity idea? The kids would love it! Line a baking sheet with parchment paper and set aside. Microwave marshmallows and butter in 30 second intervals until completely melted. Add cereal and vanilla extract and fold. Once combined, pour into a buttered-coated pan and flat evenly with a spatula. Allow treats to set for at least 1 hour. 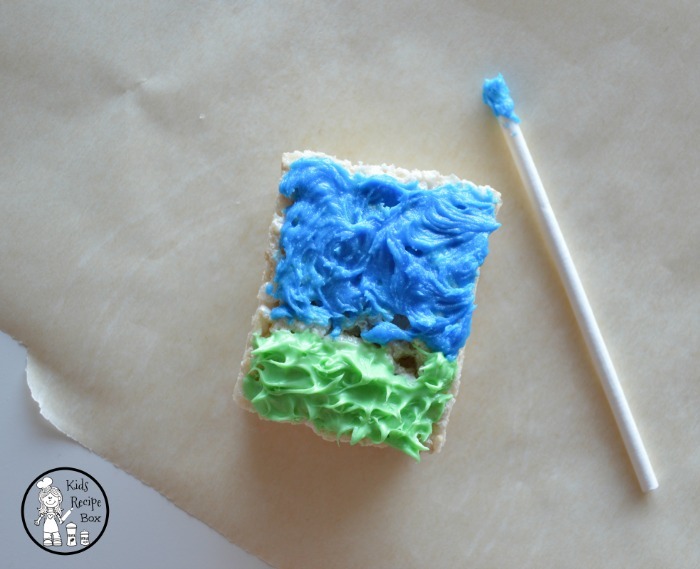 Cut treats into rectangles, about 3 inches wide. 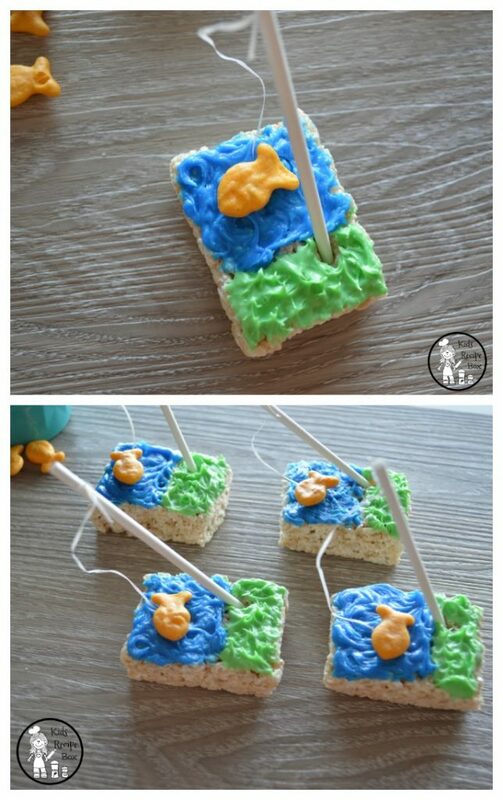 You will be decorating your Gone Fishing Cereal Treats vertically. To start, insert lollipop stick at the bottom right of your cereal treat – this way, you can mark exactly where the “fishing rod” will be placed. 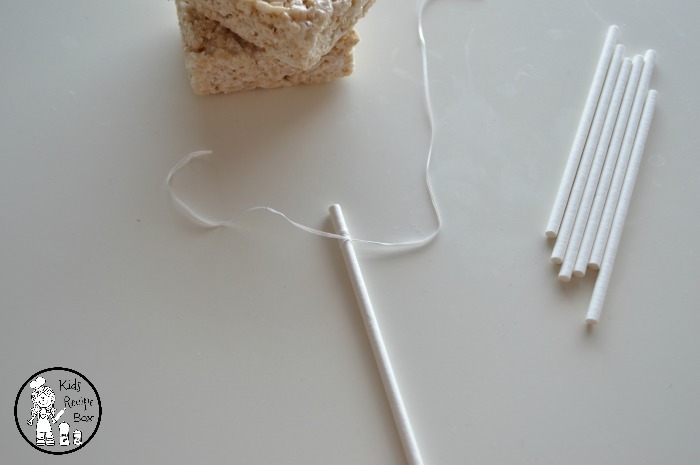 Remove lollipop stick and knot a 8-inch piece of dental floss around the top. Wrap the dental floss twice and make another knot. Trim excess, as necessary. 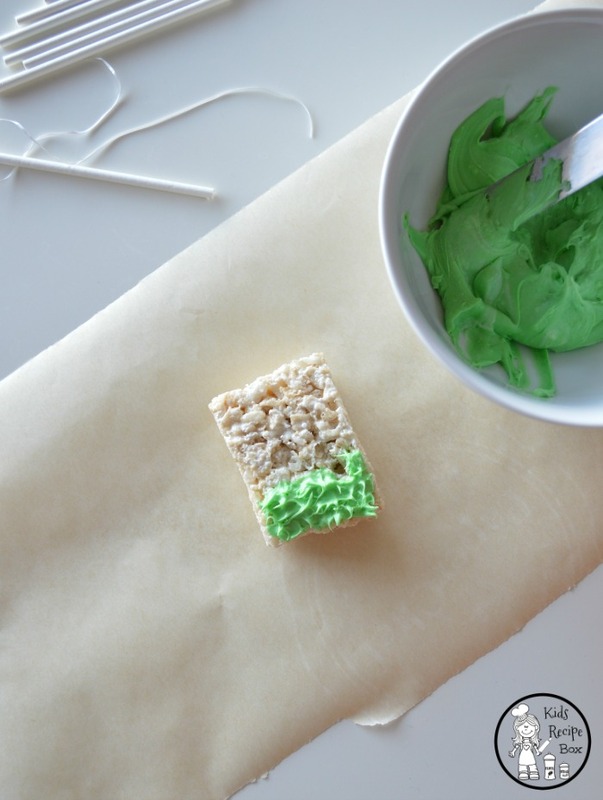 Cover 1/3 of the cereal treat with green icing: this will represent your grass. 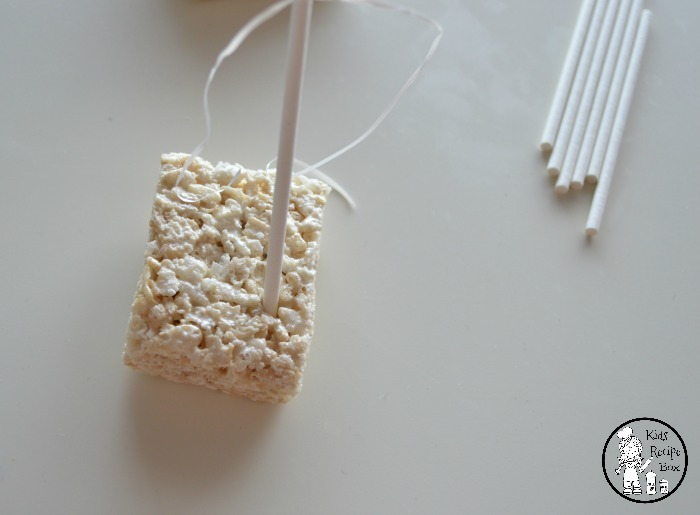 Use a spare lollipop stick to create little icing pikes – this will be your grass blades. Be sure to not cover the marker you made with your lollipop stick. 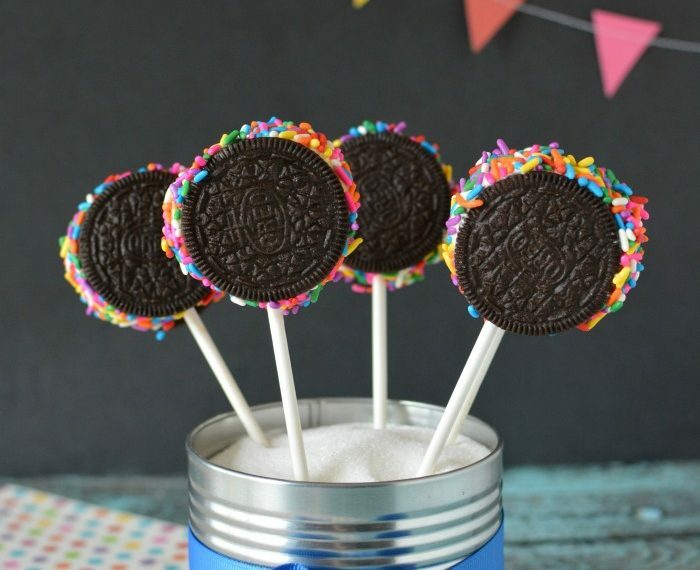 Cover the rest of the cereal treat with blue icing and spread it with a swirling motion with another lollipop stick. 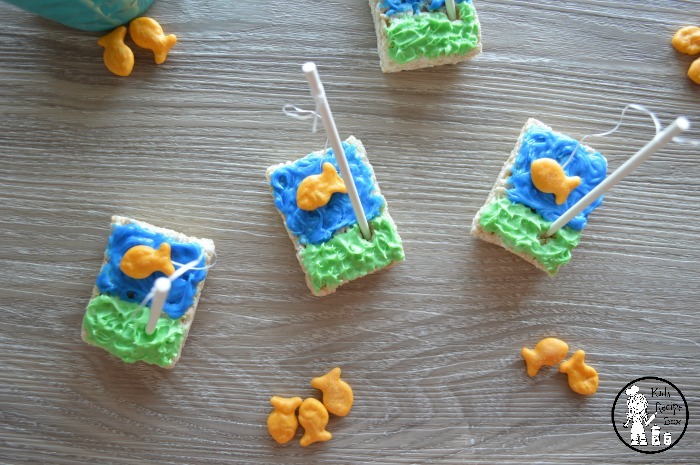 Insert your lollipop stick “fishing rod” and gently place the end of the dental floss in the middle of your “water.” Add a fish-shaped cracker. 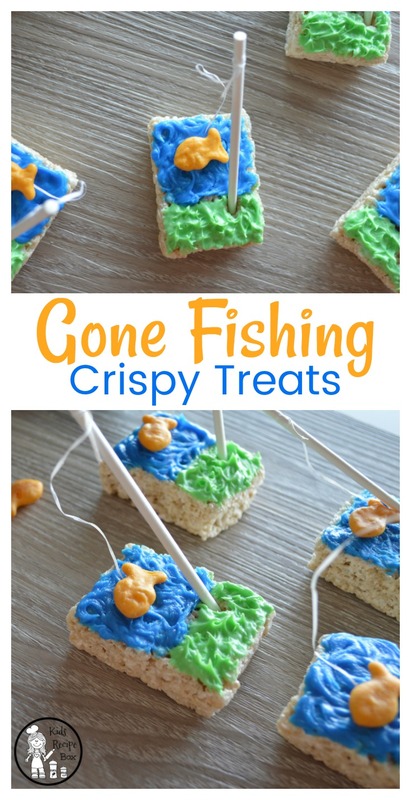 These are perfect Gone Fishing Party Treats, but they would also be fun for a fish themed school week treat or a Father’s day gift that kids could make. They are tasty and oh so cute, and hey, they’re as fun to make as they are to eat.